TEST FREAK + ANABOLIC FREAK Stack by PharmaFreak at Bodybuilding.com - Best Prices on TEST FREAK + ANABOLIC FREAK Stack! Provides TRIGOTEST a cutting-edge Fenugreek extract! Super potent stack for the more advance lifters that are looking for the more staple gains thanks to the continues improvement in performance. 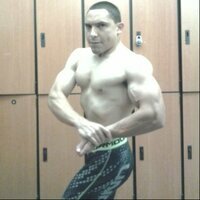 While on the Test Freak and Anabolic Stack I maximized my lifts and really improved in a formidable way my shape. There is no denying that this is the stack for the advance athletes looking to edge out the competition. I'll give a 10 out of 10. 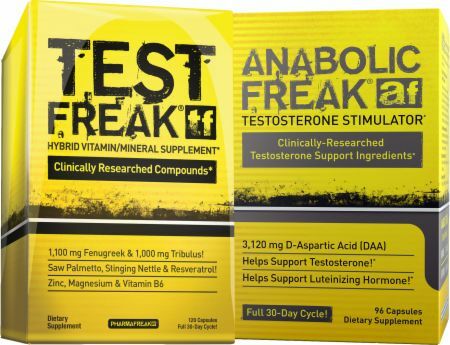 Directions for TEST FREAK + ANABOLIC FREAK Stack: Follow the directions on the products' label.